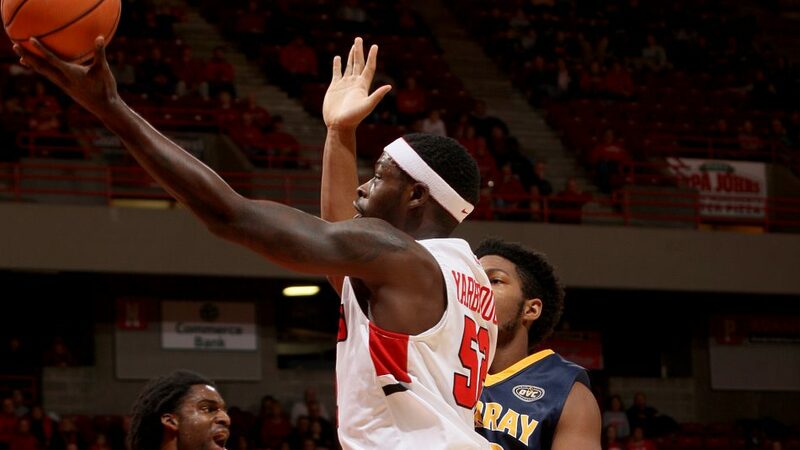 NORMAL – Illinois State University men’s basketball senior guard Milik Yarbrough has been suspended indefinitely from all team activities, according to a statement from Redbird Athletics Wednesday morning. Normal Police arrested Yarbrough Tuesday at 9:44 p.m. on charges related to a traffic incident on September 9. Yarbrough is charged with failing to give information and render aid at the scene of a traffic incident. The nature of the traffic incident is still unknown, and police reports were not immediately available. WZND has submitted FOIA requests to the Normal Police Department for police reports from both the traffic incident and the resulting arrest. It is unclear if Tuesday’s arrest is related to the current suspension. This is not Yarbrough’s first run-in with law enforcement. He was arrested on a reckless conduct charge in May after an incident with a former girlfriend. Yarbrough was charged with theft of a cell phone in 2016, a charge that was later dropped. He was also charged with driving on a suspended license in 2017 and later arrested for failing to appear in court for an appearance related to that charge. Yarbrough was a first team Missouri Valley Conference selection in 2018 in addition to winning the MVC Newcomer of the Year award. He also was selected to the Missouri Valley Conference all-tournament team.